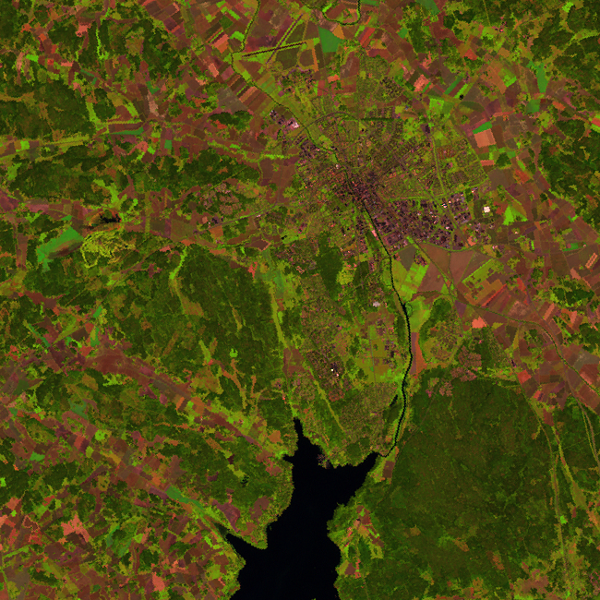 In remote sensing this technique can be advantageously used to reduce the number of bands that are necessary for a certain analysis (i.e. classification) and so reduce computing costs while keeping as much as possible of the variability present in the data. Most GIS and remote sensing software packages in use today have implemented this function in some or another way. In practice, it is enough for an analyst to just press a virtual button to calculate the principal components of an image. This is comfortable but boring. It robs us of the fun of understanding the basic principles and see how this transformation works behind the scenes. Let’s have a look! We here follow the explanation given by Canty (2007), although the method is well explained in many other textbooks (Schowengerdt, 2006, has a nice explanation too). The n bands of our image are the n dimensions of data. We project these bands into n new orthogonal bands, such that each of them is uncorrelated and has maximum variance. We then recast the problem as an eigenvalue problem and find the eigenvalues and eigenvectors. We can then create new bands by applying the linear transformations to our data. 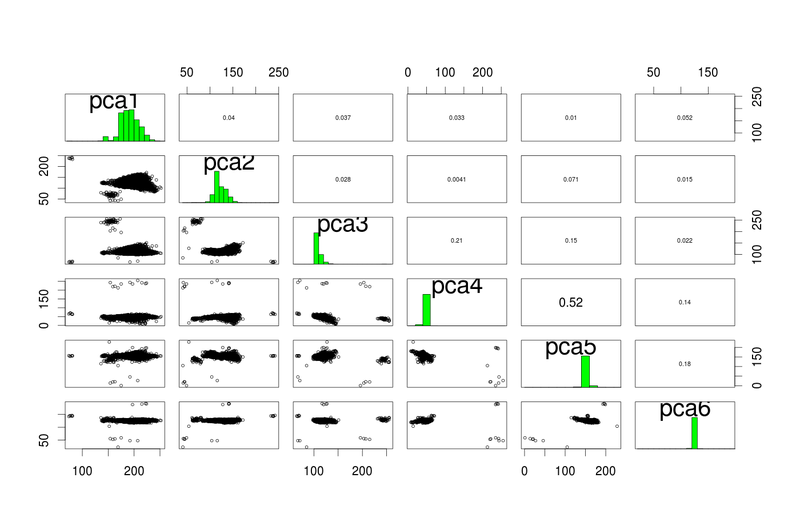 All procedures are done combining different open source tools: written in Perl, using the Perl Data Language, Generic Mapping Tools, ImageMagick, GDAL and R. The code used for computing PCA can be found in the fighsare repository. Note that this is a very eclectic approach using tools I know. I make no claim to write neat code nor pretend my code to be best practice. I am sure others can do better! 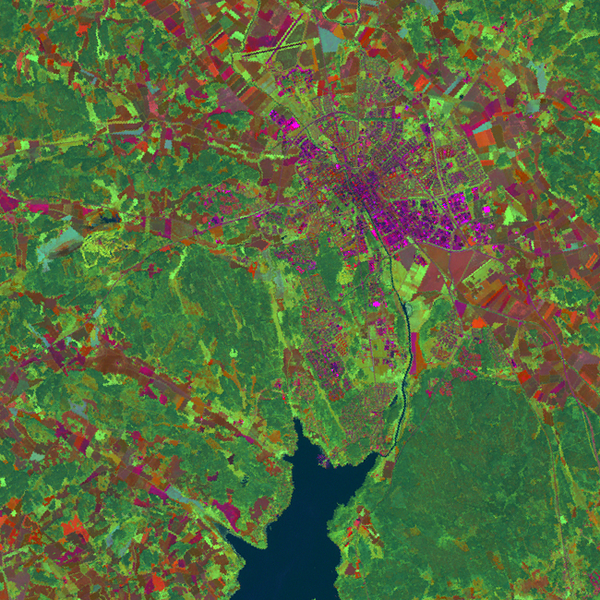 Subset of Landsat 7 ETM+ scene path/row 193/018 acquired 2002-08-04 depicting the city of Uppsala, Sweden. Bands 5,4,3 (RGB). 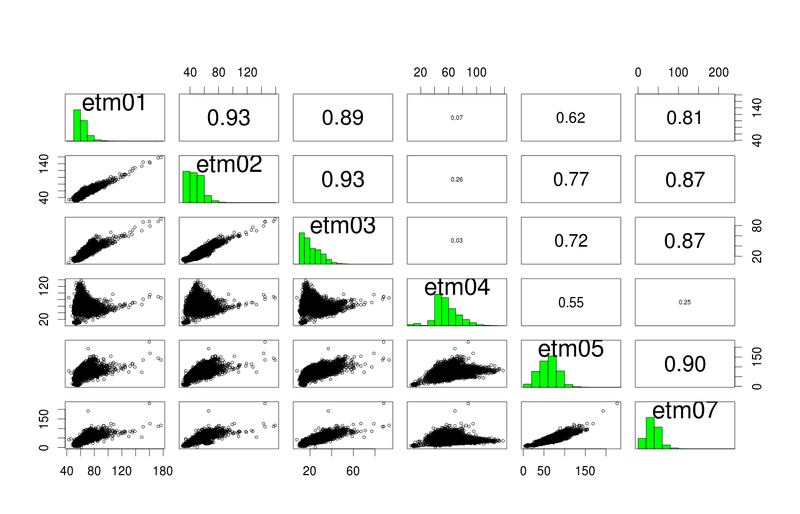 Bands in the ETM+ image. Scatterplot of band data, showing the high correlation of spectrally close bands. Six principal components, derived from six spectral bands. Scatterplot of the six principal components. First three principal components of the image as RGB. This technique is useful for reducing the number of bands needed to some processes, as it keeps the variability mostly untouched, which is what we actually need. This is handy when using multispectral data, and crucial when using hyperspectral data. Canty, M.J. (2007). 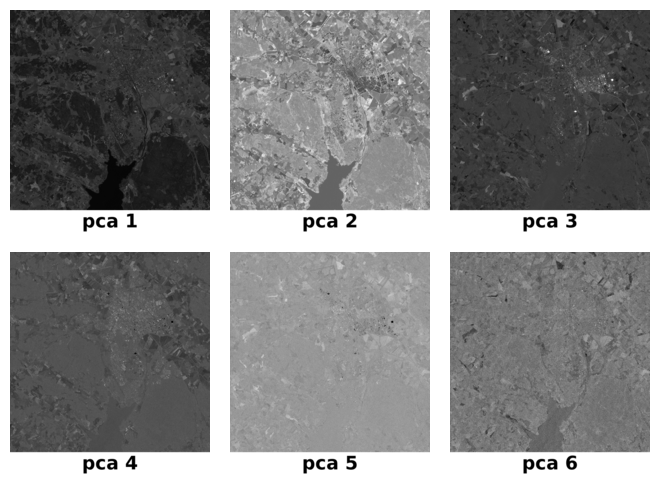 Image analysis, classification and change detection in remote sensing: with algorithms for ENVI/IDL. CRC Press. Schowengerdt, R.A. (2006). 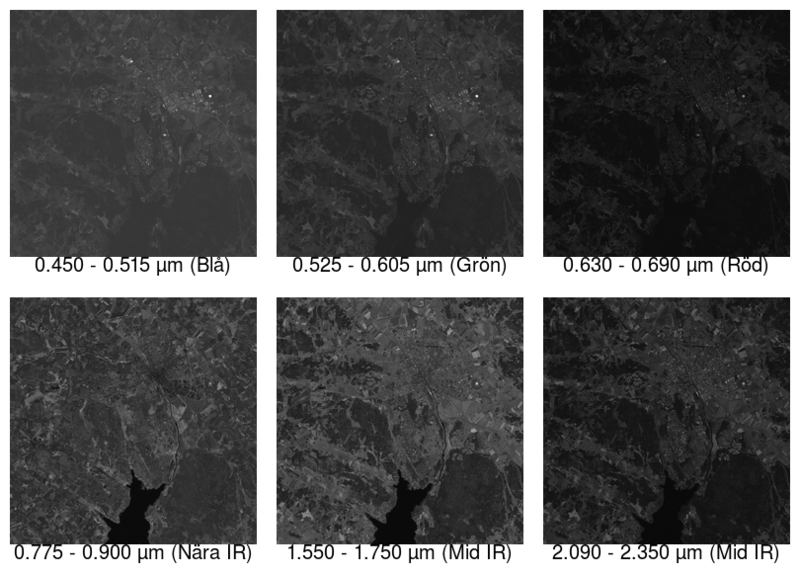 Remote sensing: models and methods for image processing. Academic press. where $list is a Perl variable containing the image list. De nada! excelente trabajo, Un saludo! Just stumbled across your article after having toyed around with PCA on satellite images myself (in Python). Very nice piece, thanks for sharing it (and the many other useful articles on your site – wish I had discovered it earlier). Thanks for your kind comment, Harald. Glad you find it useful. Good luck in your python experiments, PCA implementation shouldn’t be difficult and will certainly be educational and fun.